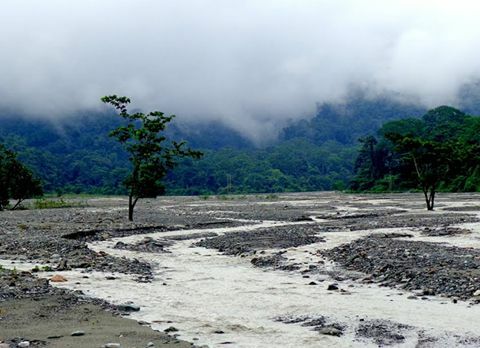 On the foothills of Eastern Himalayas, 99km from Siliguri is Jaldhaka a picturesque river valley along the meandering river stream of River Jaldhaka on the way to Chalsa-Bindu road. 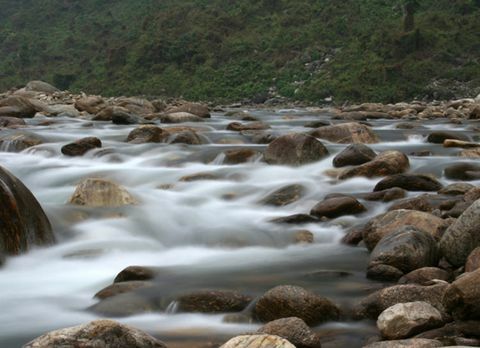 The River Jaldhaka originates from the Kupup also known as Bitang Lake in south eastern Sikkim in the eastern Himalaya and flows through Bhutan and the Darjeeling, Jalpaiguri and Coochbehar districts of West Bengals. 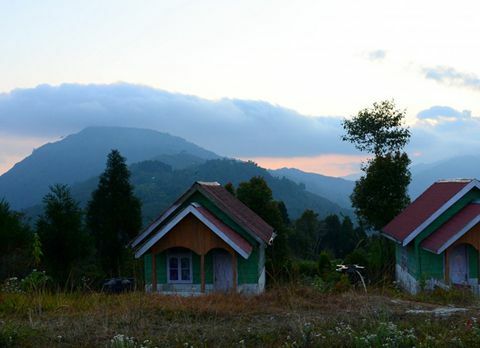 Far from hassle of city life nestled below the mountain ridge Jaldhaka has emerged as an ideal place for spending a peaceful weekend in Dooars region. 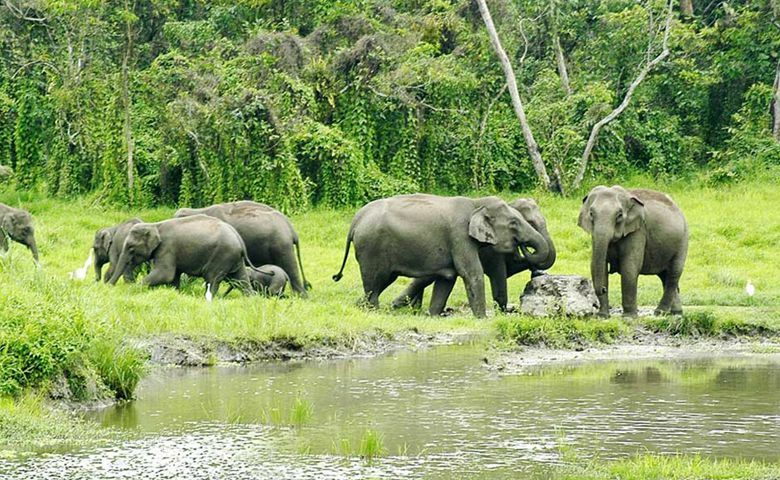 Situated near the Indo-Bhutan border, Jaldhaka is the first large settlement which can be reached after crossing the dense forest of Chapramari, the oldest forest reserve in West Bengal. 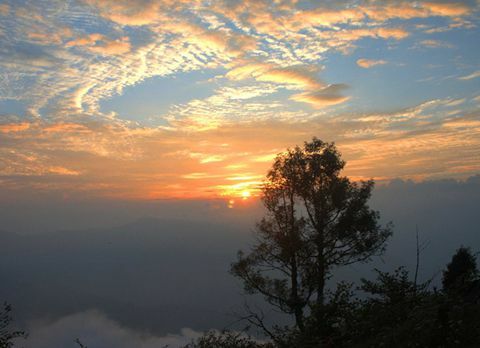 Jaldhaka is famous among the travelers for offering surreal beauty and serene ambiance. 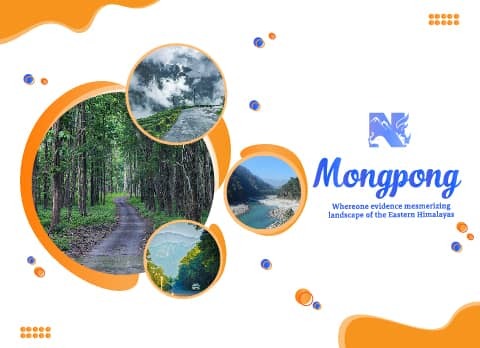 The journey towards this serene place Jaldhaka is filled with pictorial landscape from the age old Coronation Bridge above the roaring river Teesta to the dense forest area and little pink, blue, green and yellow cottages dotting the roadside and hill slopes. All of them have vibrant flower gardens. Prayer flags blow in the wind and wildflowers grow on the hill slopes while the river rushes below. 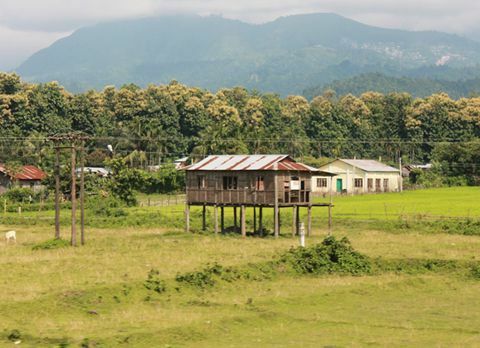 There’s no big market, no concrete buildings, no hooting cars making the ride towards Jaldhaka an unforgettable experience. 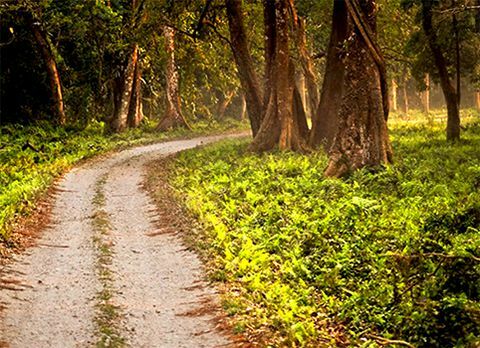 Along with the mesmerizing view of the riverside there are many places nearby Jaldhaka which has allured travelers towards it. 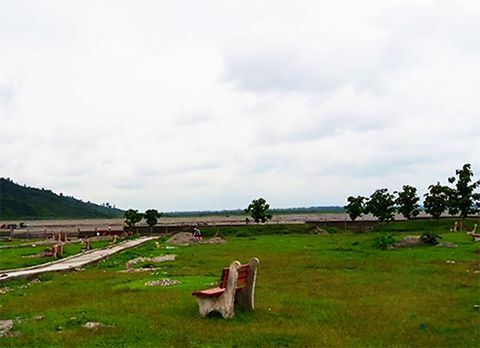 Jaldhaka Hydel Project on the river Jaldhaka being one of the prime tourist attractions. Jaldhaka Hydel Project is one of the foremost hydro electric projects in the country which also serves as a bridge to go across Bhutan. 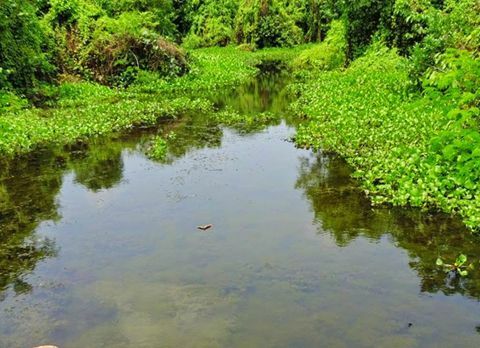 Jaldhaka Hydel Project is encircled by huge walls and visitors are required to get an approval from the West Bengal State Electricity Board (WBSEB) authorities to visit this dam. It also harbor and act as the host for the migratory water fowls of Central Asia and Ladakh making Jaldhaka a paradise for avid bird watchers. 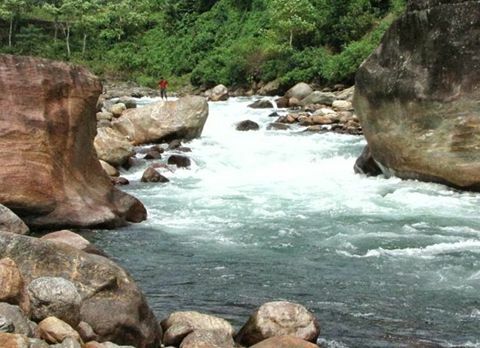 There many amazing trails dotting the dense forest enclosing Jaldhaka making trekking a favored tourist activity of this scenic River Valley. The most famous trek from Jaldhaka is towards Todey and Tangta which also lead the trekkers towards Neora valley national park. 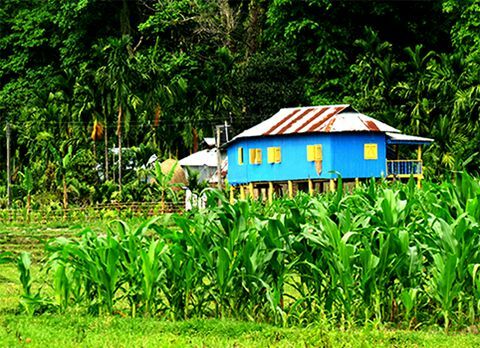 Tourist can also visit nearby places like Jhallong and Paren to relish the true beauty of Dooars region while traveling in Jaldhaka. 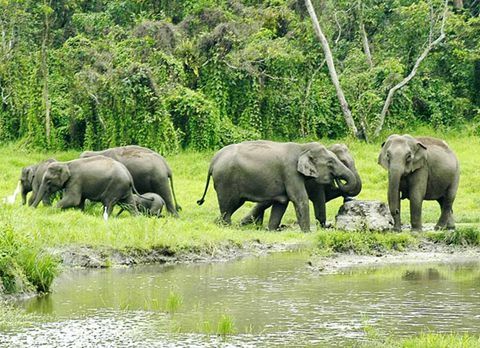 They can camp along the banks of River Jaldhaka in Jhalong or go on a jungle safari in the lush Gorumara or Chapramari. 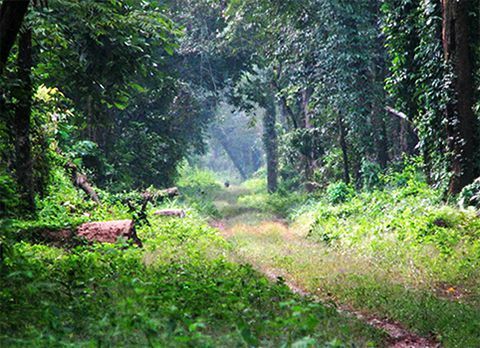 From Jaldhaka all these destinations are located in an easily accessible distance. 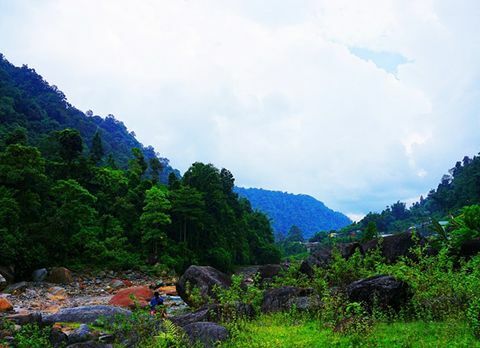 Far from the hassle of daily life, set at the heart of the Jaldhaka River, this scenic River Valley of Jaldhaka offers the most awe-inspiring backdrop view of the mountain range which has mesmerized many travelers leaving them spell bound after witness it. 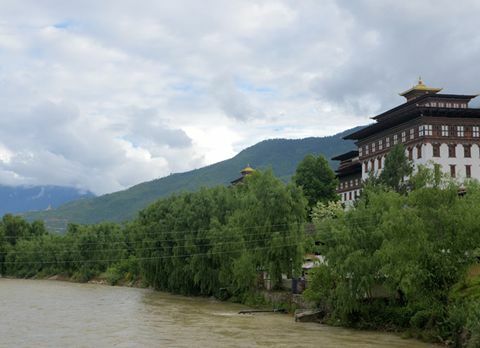 There are many hotels and homestays in Jaldhaka for those who wish to spend some lone time in this picturesque River Valley. 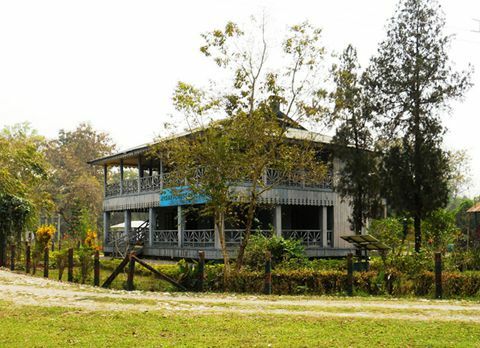 But Jaldhaka Forest Rest House is the most preferred place to stay. 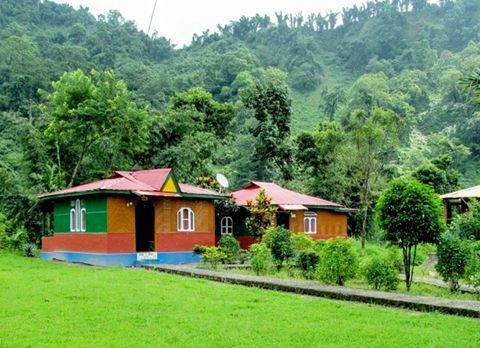 Why to choose Jaldhaka for your next trip in North Bengal ? 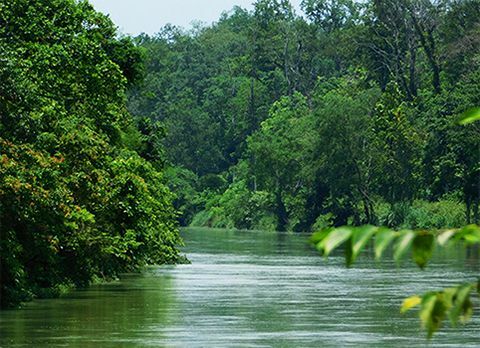 Free from all the hassle of modernized world the Jaldhaka River Valley with its simplicity has won the hearts travelers who visit Dooars in search of solace. 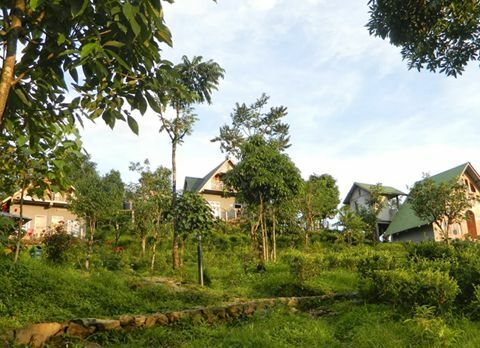 Surrounded by the emerald green alpine forest and luxuriant nurseries Jaldhaka with its astounding view of the Bhutan’s Mountain Range has become a must visit destination for the nature lover and adventurer who are travelling in search of isolated and offbeat destination in North Bengal. 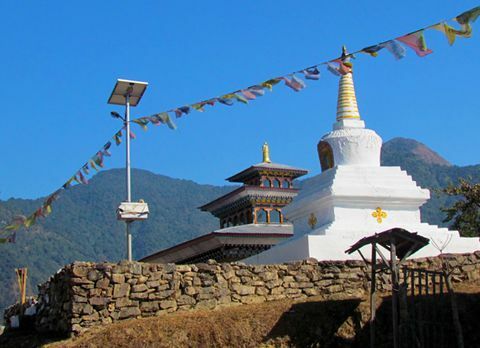 If you plan to go to Jaldhaka and make the most of your trip, then going at the onset of winter is an ideal option. The place experiences heavy rainfall around May- June and the summers can become quite uncomfortable with the sharp sun directly overhead. Hence, winters are the best time to enjoy this stunning river valley Jaldhaka.